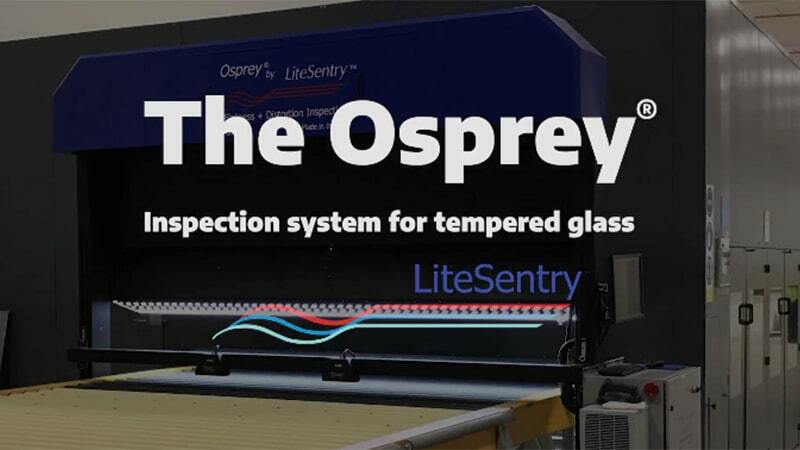 The patented Osprey 8 Distortion Inspection system by LiteSentry is the industry standard for real-time inspection and measurement of tempered glass and sheet plastic. The Osprey is the only system meeting the requirements of leading architects, Vitro (formerly PPG) Certified Network, Guardian Select Fabricators, and suppliers to U.S. government contracts. Need to inspect for Anisotropy and Distortion in a single system- Click here for the Osprey 8 Complete! Since the Osprey was invented in 1999, hundreds of systems have been installed in tempering plants on five continents, providing state-of-the-art technology in optical distortion inspection for heat-treated glass and sheet plastic. The Osprey works with any heat treatment / tempering / toughening line and is designed for installation on tempering lines manufactured by Cooltemper/TCME, EFCO, Glasstech, Glaston, Jinglass, Keraglass, Landglass, Lisec, Mappi, Northglass, Taifin, Tamglass, tk, Uniglass, and Yuntung. The Osprey CW (Continuous Web) for plastic sheet and float glass inspection.